Already finished the Sunday crossword in the paper and looking for a new challenge? 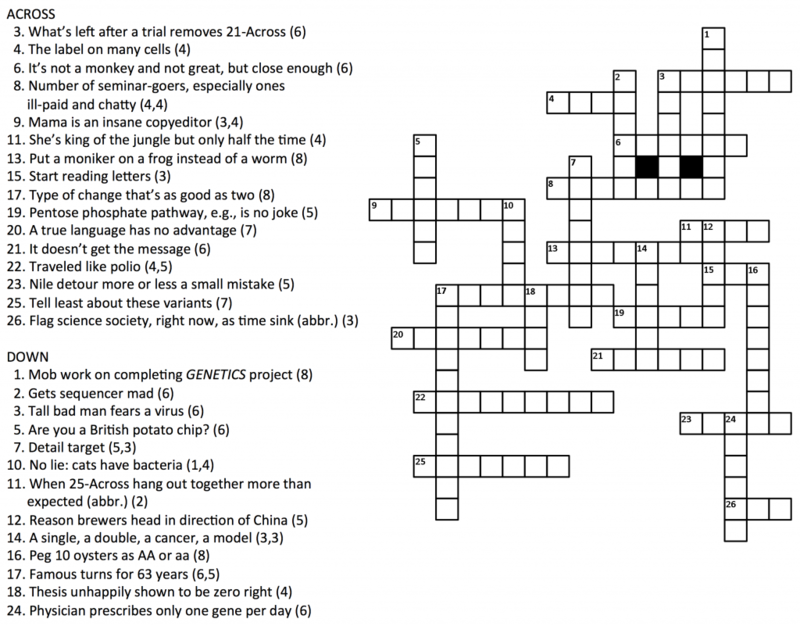 Try your hand at this genetics and GSA-specific puzzle submitted by one of our members. Any member who sends their correctly competed puzzle to blog@genetics-gsa.org by Monday, March 7 will be eligible to win a snazzy GSA t-shirt. We also welcome your submissions of other puzzles and games that will be of interest to the community. If we use your puzzle, we’ll also send you a t-shirt. Send your submissions to blog@genetics-gsa.org.